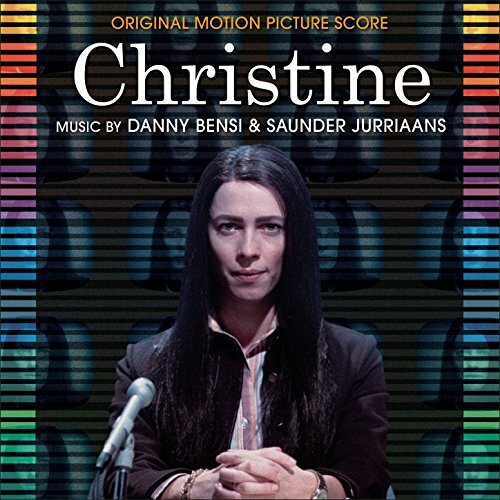 Music by Danny Bensi & Saunder Jurriaans. The story of a woman who finds herself caught in the crosshairs of a spiraling personal life and career crisis. Christine, always the smartest person in the room at her local Sarasota, Florida news station, feels like she is destined for bigger things and is relentless in her pursuit of an on-air position in a larger market. As an aspiring newswoman with an eye for nuance and an interest in social justice, she finds herself constantly butting heads with her boss (Tracy Letts), who pushes for juicier stories that will drive up ratings. Plagued by self-doubt and a tumultuous home life, Christine’s diminishing hope begins to rise when an on-air co-worker (Michael C. Hall) initiates a friendship which ultimately becomes yet another unrequited love. Disillusioned as her world continues to close in on her, Christine takes a dark and surprising turn. The movie soundtrack of Christine will be released on November 11, 2016 by The Orchard.